Ocracoke Island Realty is a platinum sponsor for the First Annual Ocracoke Island 5K Run and 1 Mile Family Fun Run. All proceeds will benefit the Ocracoke School Athletic Club and the community radio station. 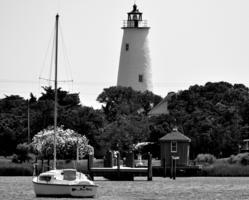 The First Annual Ocracoke Island 5K Run and 1 Mile Family Fun Run will be held Saturday, April 28, 2012. The event is a fundraiser for the Ocracoke Island School Athletic Booster Club and the community radio station WOVV 90.1 FM. If you are interested in becoming a sponsor, please contact Greg Honeycutt at 252-207-1305 or by email at Greg@OceanAtlanticRentals.com. For additional information about the race, please visit the website at http://www.OcracokeIsland5KRun.org. Participants will be running through historic neighborhoods, by Ocracoke Island Harbor and past the second oldest lighthouse in the United States. All accommodations will be within walking distance or biking distance to the start/finish line. The one mile family run will start immediately after the 5K. Top three finishers--male and female--will receive an award. There will be an award for the top three male and female finishers in each age category, as well. The post-run party starts at 11:30 am at Gaffer's Sports Run and is complimentary for the runners. Ocracoke Island, the southernmost of a string of barrier islands that lie just off the coast of North Carolina, better known as the Outer Banks, provides visitors a glimpse of true seclusion amidst rare beauty. Miles of unspoiled beaches and natural beauty surround this coastal fishing village. Ocracoke Island Realty manages over 300 vacation rental homes on the island and is locally owned and managed. Ocracoke Island Realty offers a variety of real estate options: second homes and/or investment properties, such as vacation rental homes and condos, searchable via in-house listings or the entire Outer Banks MLS database. Their office is located at 1075 Irvin Garrish Hwy and is open seven days a week from 9 am to 5 pm. Phone: 877-646-2822 toll free and 252.928.6261 local.